“The Hawk Spot” food pantry officially opened to the Cosumnes River College community on Aug. 22 for the first time. The pantry provides not only food but also hygiene products, along with male and female-specific items. 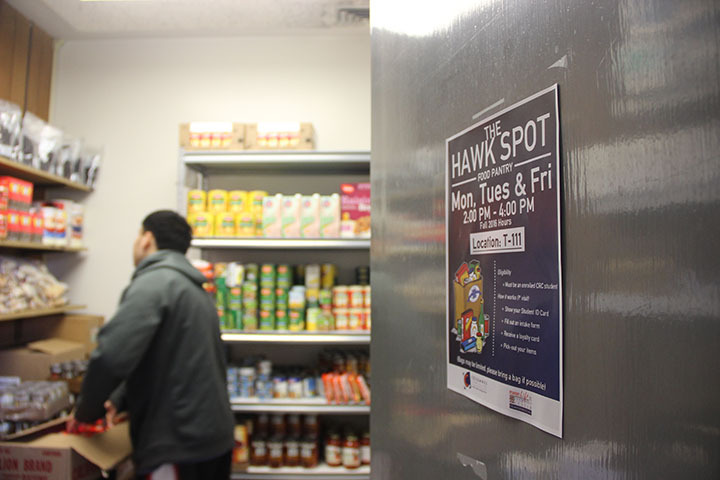 Located in room T-111 on the CRC campus, the pantry is open on Mondays, Tuesdays and Fridays from 2 to 4 p.m. “The Hawk Spot” exists to help students in meeting their basic needs. Student Ambassador Kelly Melanson said statistics that she found showed that some students must decide between paying for school or food. “People shouldn’t have to decide between education or food,” said Melanson. According to a 2016 study by Sara Goldrick-Rab from the University of Wisconsin, more than 50 percent of college students struggle with food insecurity, with some having to choose between paying for school or paying for food. The food pantry is operated by students and is modeled after the food pantry established at Sacramento State. They utilize intake forms and loyalty cards that help to keep the identities of students anonymous. At “The Hawk Spot,” students are given a simple registration form. Once a student fills it out, they receive a loyalty card. The student then can show the card at the food pantry and can take whatever items they need. The main purpose of the pantry is to give students access to basic needs, allowing them to focus on their schooling, without worry over not getting enough to eat. “We know that by having this resource here, it’s supporting their academic efforts as well as their personal goals,” said Funk. The student ambassadors who run the pantry have looked at ways to improve the food pantry in the future, such as, increasing the amount of time for the pantry to be open. They hope to eventually be able to offer fresh produce and child-specific hygiene products for students with children. They are also working on adding a clothing closet and a community resource binder for people who need additional assistance. On the first day that the pantry was open, up to 30 people were served. In the first three weeks of operation, the food pantry has been able to service more than 60 people. 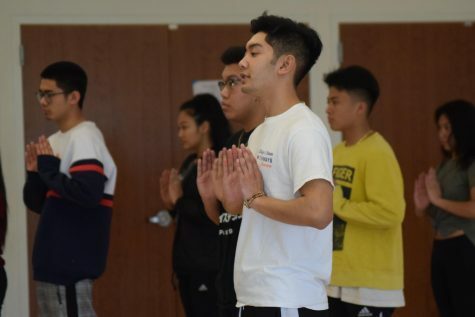 “This is an awesome opportunity they’ve taken, and it’s only going to grow for the students and for the school,” said Ken Franklin, operations manager at the Elk Grove Food Bank. The Elk Grove Food Bank aids “The Hawk Spot” by providing both food and hygiene products. Using detailed lists received from the student ambassadors, the EGFB works with CRC to improve “The Hawk Spot” and help it grow. “As long as none of these students go hungry, that’s our goal,” said Franklin.